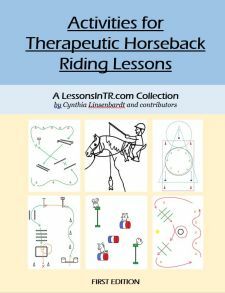 In my certification process we learned about doing a rider assessment, and teaching a new skill in a lesson, but we never learned about what happens in between – the exciting FIRST lesson! This is such a joy – a joy for you to share your love of horses with a new student for the first time – and a joy for them to ride for the first time or move freely without aid for the first time. It also can be full of nerves and anxiety – for you, who knows what the new rider will be like, and for the rider, horses and new places can be big and scary! What more, there is so much to teach, where do you start? Where do you stop? What do you DO in a first lesson? I have had a few of these recently and wanted to share what I did. I would also love for you to share your own experiences and methods in the comments section below, because there is by no mean one right way to do this! I have found that the first lesson tends to be more of an assessment and introduction lesson. My goal is to introduce the rider to the barn and their horse in a meaningful way, to go over important information and safety procedures, discuss goals, and introduce the rider to balance and woah/walk on. If they catch on quickly, I might add steering. Obviously this will look different for every rider depending on their age and abilities. 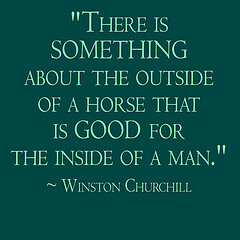 meet horse – give special time to pet horse, take time to feel comfortable, discuss horse’s color/personality/etc. while walking discuss goals: riding? horse care? groundwork? etc. Steering – if doing well, you may have time to progress to steering! This is a long list, you might not get through it all! It obviously depends on the rider. Now I’d love to hear from you about what you do in the first lesson. Please leave a comment below! Thanks! That is a great list and really close to what I do with clients I work with. The thing I run in to is how to keep a little more light and fun so it isn’t all work and no play for them. Sometimes I feel like I’m showering way too much info on them and its hard for them to take it all in. My top priority for the first lesson is posture since most of our clients are in a halter and lead line for their first lesson. That helps me make it a little more simple though its still challenging for most clients. I also assess how well they can follow directions or pay attention to their surroundings… “Let’s see if we can find any birds while we are riding” or “what color is that car” etc. For a lot of our autistic clients it can be an accomplishment that they are interacting with us instead of just their parent. Thank you 🙂 Good information and will incorporate this into my lessons too.